The dress is a fusion between U.S. Cavalry fabric and Cheyenne tribal design. This fall, the Northwest Museum of Arts & Culture (MAC) will welcome the return of an historical artifact that serves as an important symbol of the storied Battle of Little Bighorn: a Native American battle dress sewn from the fabric of U.S. Cavalry uniforms. The battle marked its 140th anniversary on June 25 and to commemorate the occasion, the dress went on tour, loaned out from its home in the MAC's collection. The artifact holds a unique brand of significance thanks to its atypical method of creation. After Lieutenant Colonel George A. Custer's company was defeated during the storied conflict in 1876, women of the Cheyenne tribe, which comprised a portion of the united Native forces that felled Custer's cavalry, removed the uniforms from several deceased cavalry soldiers. They used the acquired cloth to craft the battle dress, intending it to serve as a symbolic reminder of the conflict. As a result of its unique origin, the dress carries distinctive, clashing features: those of both of U.S. Cavalry uniforms and of traditional Cheyenne tribal garb. 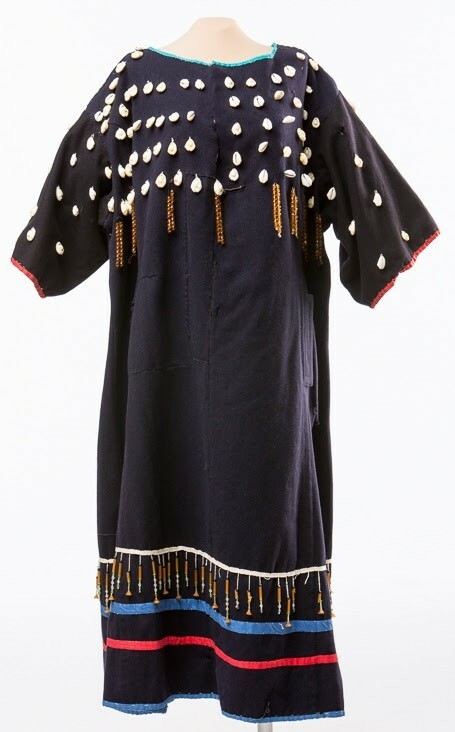 Having been passed down from generation to generation by women of the Cheyenne tribe, the battle dress now serves as a tangible representation of the Battle of Little Bighorn from the side of the Cheyenne. As of now, the dress is proudly on display in the Little Bighorn Battlefield National Monument's Visitor Center in Montana, and will be until Labor Day weekend (Sept. 5). After that, the artifact will return to its home in the MAC's galleries for the local community to view and appreciate.